Immersive conversation-centered activities to practice subject comprehension, roleplay real-world situations, and demonstrate conceptual understanding. Demonstrate knowledge through conversation choices. Roleplay different perspectives to encourage creative thinking. Assess decision-making across multiple dimensions. Respond to smart, nuanced feedback throughout in real-time. Use voice, images, sounds, music, and video to stimulate engagement. The student interacts with other characters in a narrative format that assesses their understanding of how to analyze primary source documents. 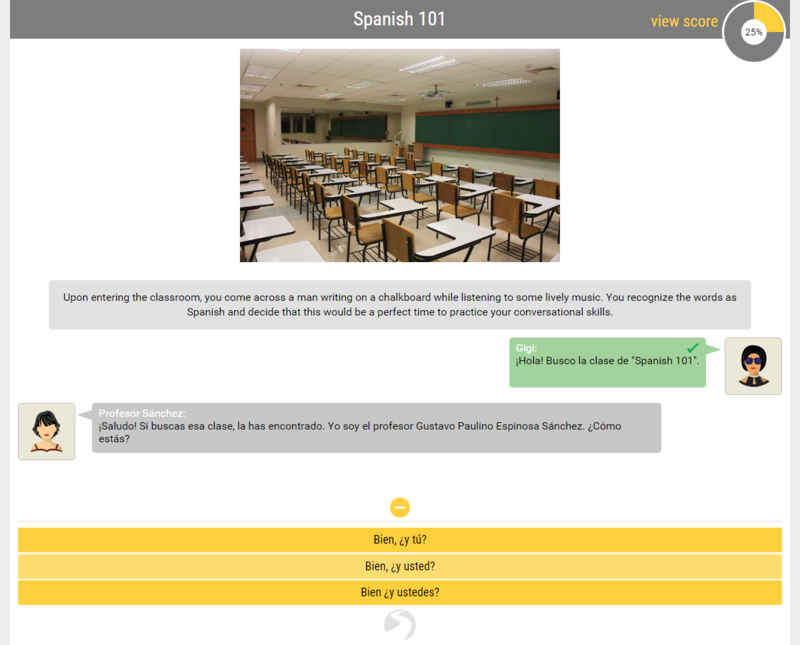 Apply Spanish language skills and demonstrate vocabulary and comprehension ability in this simulated conversation. Demonstrate computer literacy skills and customer service expertise roleplaying a simulated job interview. 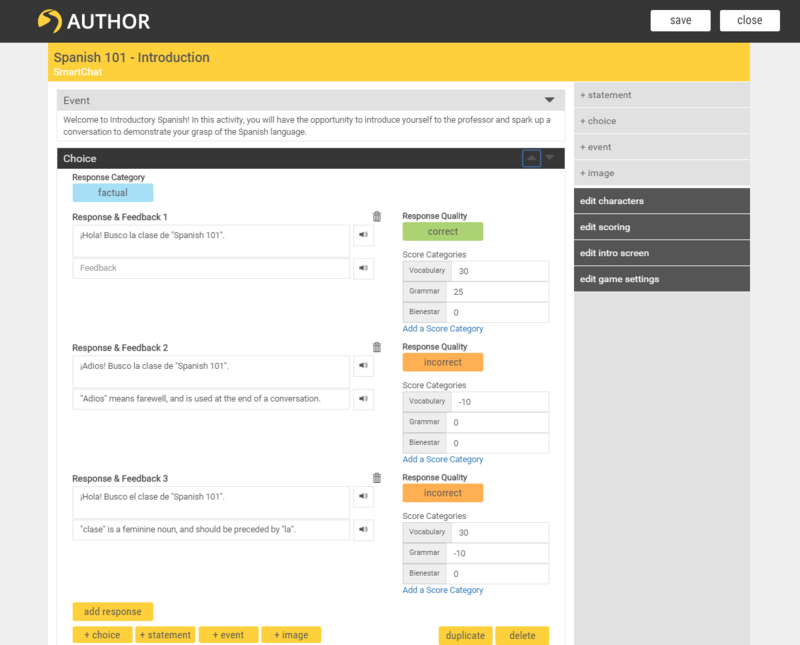 Author is the tool to reach for when you want learners to practice a skill, apply what they’ve learned, or roleplay a job. If your organization is interested in Muzzy Lane Author please contact author@muzzylane.com.